The Forbes family seems to love their wine so much, they wanted their own wine club. This offer is very similar to the Tasting Room by Lot18 wine club. This is a 12-bottle case wine club which gets to know your palate first through a sampler tasting kit and then through your wine ratings. The first couple of shipments tend to be mediocre fits, but if you keep rating your wines, they figure out exactly what you like. One of their best features is total control of your account online without having to contact customer service — change your shipment size, have your next shipment sent exactly when you want it, or even cancel online. The price is right for a mid-quality case of wine, but we love that this one comes tailored to your specific tastes. The tasting kit makes for a fun wine adventure right in your living room, and thank goodness you can manage your entire account online. We'd like to see a higher-end version of this program offering $25 bottles instead of $12 bottles. The concept is right, but the quality isn't appropriate for a wine connoisseur. We can't find a link to Forbes Wine Club. Please have a look around our site to see if you can find something else you'd like. Confused by the name of this club? No worries, here's the scoop: TastingRoom by Lot18 has created a version of their wine club just for Forbes. In the wine club industry (as in many others) we call this "private label" or "white label." All this means is that Forbes thinks their customers want a Forbes-branded wine club, but since they're not in the wine business, they've hired someone else (Lot18) to manage it for them. So... should you join the Forbes Wine Club by Lot18 or the Tasting Room by Lot18 club? Well, that's entirely up to you. It's the same club, the same wines, the same tasting kit, the same prices, you get the picture. To quote a former teacher... "same same." From here on out, you're reading our Lot18 review with the text "Tasting Room" replaced with "Forbes Wine Club"
After more than two years and a lot of changes, we felt it was time to take a closer look at Forbes Wine Club by Lot18. This review is in the process of being updated—it includes the sign-up process, wine club features, and the tasting kit experience. It’s great to see this wine-buying program mature. You could call it a “wine of the month club,” but it’s really much more than that. Aside from getting a reasonably personalized selection of wines, you’re also getting anytime-you-want-it online control of your account—change your number of bottles, your selection of wines, or your shipment frequency easily online. You can even cancel online. To be honest, we're always pretty skeptical of any company that thinks it can apply technology to figure out which wines any person will like. Maybe it's easier when your wine preferences are somewhat limited—like Mitch's unmitigated delight in a big red Central Coast fruit-bomb—as opposed to Jessyca's enjoyment of nearly all wine regions and varietals, as long as the wine was well made and is well-balanced. We rarely see an answer choice for “What kinds of wine do you like?” that suits our tastes, so how could they deliver something they're sure we'll like? In fairness, we don't think most people who work in wine stores do much better. It all depends on a customer's ability to explain what he or she likes, and see how that matches up with a salesperson's knowledge of their inventory. That is a lot of subjective variability on which to make an accurate recommendation. In contrast, most wine clubs tend to focus on wines that will please most people. This means that many of the wines chosen for wine club shipments are sort of run-of-the-mill and of decent quality (sometimes excellent), but maybe not suited to adventurous or picky wine-drinkers. Forbes Wine Club by Lot18 is not the first personalized wine delivery program to the market, but they seem to have the most promise. Their big differentiator is that sampler kit they send out to get to know your preferences—rather than just asking you to remember what you like from the last time you might have tried it. They have an exclusive on this feature, as Forbes Wine Club invented it, and Lot18 doesn't have to share it with any other wine club. The big idea with a personalized wine-shipment program is this: Buying wine can be scary, intimidating, and risky. Unless you're a sommelier. But most of us aren't professionally trained wine tasters. A lot of people, like my husband and I, love to taste and buy wine in Forbes Wine Clubs, because we know exactly what we're buying, and it's a personalized selection because we picked it. But we live in Southern California and weekend wine-tasting trips are easy for us. If you live in Nebraska, well, that's going to make wine tasting at a winery just a smidge harder. The Tasting Part of Forbes Wine Club by Lot18 — The Kit! 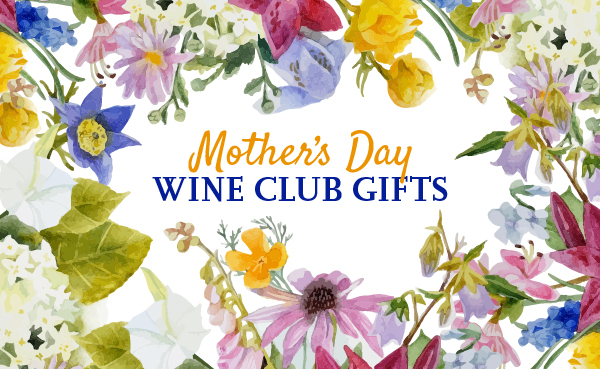 Note: When you sign up to receive a tasting kit, you are automatically enrolling in their wine club. If you do not rate your wines or cancel your membership, you will still be responsible for accepting and paying for the wine that is delivered. They say it only takes 10 minutes to taste the wines... but why not enjoy it? Set aside 15-20 minutes (30 is best) and share the experience with your favorite wine friend/spouse/coworker. Since wine is personal and Forbes Wine Club is personalized, Jessyca did the tasting alone for this one. These are her notes. I ended up picking the Chardonnay over the Sauvignon Blanc because the Chardonnay tasted like a decent Chardonnay but the Sauvignon Blanc was not characteristic of the varietal, and a little funky. This lead Forbes Wine Club to think I like oaky Chardonnays, but that's not especially true. My experiences with the reds were similar. I liked the Pinot Noir best, but among the varietals and regions presented in the kit, that wouldn't be what I'd pick if I went to the store. I found the Pinot delightfully fruity and medium-bodied, but somewhere along the way my preference for this Pinot Noir turned into an assumption that I like earthy red wines, which is not especially true. Okay, I've had my fun and rated my wines, what's next? You rate your sampler wines by following the simple instructions on the Forbes Wine Club site, tasting the wines in pairs, against each other. You can even tell the site that you liked both wines or disliked both—your preferences help WinePrint™ to figure out your profile and pull together your first personalized case of wine. Then, if you think they've nailed your tastes, or at least they're close enough that you're excited to receive more personalized wine shipments, you'll pay $149 + $19.99 shipping for future cases of wine, delivered on a quarterly basis. If 12 bottles is too much you can downsize to 4 or 6 and even choose a different frequency for shipments. This pricing is dead-on for competition with some of the bigger “quarterly case clubs” and you are virtually guaranteed to prefer the wines you get from Lot18 to the wines you'd get from those other wine clubs. Compare Forbes Wine Club by Lot18, WSJ Wine, and New York Times wine clubs. Each subsequent case should have better and better selections, as you will keep rating the wines they send. Eventually you might love every wine they send you... and THAT is how you make the most of your wine budget! 2012 Mise en Scène Pinot Noir Russian River (fruity and light-medium bodied, I'll probably rate this one highly as I love RRV Pinot Noir), 2013 San Silvestro Brumo Nebbiolo D'Alba (Earthy and light-medium bodied, I'll probably rate this one poorly as I rarely like Italian reds other than Dolcetto), 2013 The Rogue Wave Monterey County Pinot Noir (fruity and medium-bodied, I'll probably rate this one average as I usually don't like the minerality of Monterey wines), and 2009 Outcast Oak Knolll District Napa Valley Merlot (balanced and medium-high bodied, I'll probably rate this one highly as I like Napa Merlot, though sometimes it's too minerally/dusty for me). 2013 The Rogue Wave Monterey County Pinot Noir (it was okay, not anything to write home about), 2013 Thornhill Santa Barbara County Pinot Noir (Jessyca's favorite in the case by far, but not a "oooh I want more of this" wine), 2013 Wayside Paso Robles Red Blend (none of us liked this wine, the quality was eh and I'd expect to pay around $8 for this at a grocery store), and 2012 Almaraz Rioja Crianza (this was the crowd favorite, but didn't really match Jessyca's palate well). Whites: 2013 Beachcomber Chardonnay Monterey (it was okay but oaky, still not sure why they think I like oaky wines) and 2014 Rogue Wave Monterey Pinot Blanc (this started off funky but improved with food). Aside from the obvious clue that Lot 18 churns through wines for their club with an impressive pace (we saw our future shipment change more than once), we don't feel like they've achieved something remarkable yet. Jessyca diligently rated her wines at TastingRoom.com and hopes the next shipment reflects her opinions of these wines. Overall, 50% were good selections and 50% were meh or worse. But for the $13 price tag, it's still a great deal if you're open to trying things and not expecting you'll love everything. At WineClubReviews.net we take an objective approach to our star ratings system. Our written reviews are very much subjective, based on our 5+ years of wine club review experience and our own ideas about what good wine and good value mean. The star ratings are based on 11 attributes that we feel define what a wine club should be. Here is how Forbes Wine Club stacks up on these traits. Note: This rating is our objective analysis of Forbes Wine Club’s satisfaction guarantee—not our assessment of whether or not you’re guaranteed to be satisfied with their wines. There are few clubs that have elevated the wine-buying experience to truly convenient (let’s face it, shipping logistics can be a major hassle), but Forbes Wine Club by Lot18 is finally one of them. They have an unprecedented level of anytime-you-want-it online control of your account—change your number of bottles, your selection of wines, or your shipment frequency easily online. Even cancel your membership without picking up the phone. They also make it very easy to change up your subscription (more or less bottles, more or fewer shipments) and rate your wines and order more of what you loved. A personalized wine club used to mean you picked the color of your wine and maybe how often you received your two-bottle selection. These days, companies like Lot 18, Club W, and invino are all targeting the wine drinker who only wants to receive wines they’ll love. There’s something to be said for “no surprises” but the adventure of trying wines you wouldn’t have picked yourself has its charm, too. Regardless, Lot18’s brand of personalization sets them apart from the rest of the wine club pack—mostly. Your first full shipment is determined your Tasting Sampler results, not your survey results. This is unique compared to Club W and invino which both also have profile surveys. The difference is that Club W and invino and both send shipments tailored to your answers to questions about coffee, fruit, and chocolate preferences. Like Club W, Lot18 lets you rate your wine selections to further hone your personalized wine profile. Our old wine quality rating was around 3 stars, and we don't think the quality has improved much, though we did bump them up to 3.5 stars. The whites are a little more sophisticated, but any gains they've made have been by choosing lower-price wine regions to get more value into the wine. Lower price wine regions are often lower price because the winemaking in the area isn't as good or the terroir produces fruit with flavors many folks aren't excited about. Figuring out what “retail” is can be challenging when assessing TR by Lot18 because they make some of their own wines. Their general assumption is that retail value would be double (or more) what you pay for these wines as part of your membership. For the wines they purchase from independent wineries, you can expect prices to be 15-45% below retail—a good deal to be sure. We spot-checked a few of the wines to see if their savings estimates were legit. We researched via Google and the Lot18 website where they sell to a broader audience than just their wine club. We found the wine club pricing to be consistent with, and often favorable to, the regular Lot18 prices. Forbes Wine Club has experimented with different introductory offers, but ultimately they’ve settled on “discounting” the tasting kit. Let’s be real, there isn’t anyone else selling these kits and the price is whatever they say it is. It’s worth noting that $9.95 for this kit is a good value in and of itself. You get have a wine tasting experience in your living room for $10! When you reorder wine from Forbes Wine Club by Lot18, you’re paying the same price per bottle you paid in your shipment—usually a good deal, but not an additional discount. In fairness, their wines start out at a pretty steep discount. Lastly, members-only deals are limited to what Lot18 members get—so there’s no extra bonus for being a wine club customer. Get a friend to join and you’ll enjoy a $20 discount on your next shipment. You will occasionally get offers to join other companies' programs—like Plated or Hello Fresh (companies that send ingredients and recipes for you to cook at home). Forbes Wine Club by Lot18 has a horrible customer service record. We’ve received direct complaints from customers over the years and the web is littered with a litany of customer service foul-ups. Some of this can be chalked up to aggressive marketing tactics and growing pains. We see they’ve taken steps to give you clear-cut online control of your account, including cancelling your account and they’ve increased email communication so you’re always aware of changes to your account and when your next shipment will arrive. We’d also like to note that a LOT of folks sign up for wine clubs based on the introductory offer without reading the fine print—not just at Lot18. These folks are invariably angry that they in fact did not get something valuable for almost no cost and consider the whole affair to be a scam or rip-off. We’d ask you to ignore any of these comments you find online as the complainers are just as much to blame as the less-than-crystal-clear sign-up process. Also worth noting, we required Lot18 to change their landing page to be more clear about what you’re getting when you sign up. We always encourage you to read the fine print before joining any wine club, and now you can do more easily when you sign up for Forbes Wine Club through WineClubReviews.net. Lot18 is known for its selectivity in terms of wines. Forbes Wine Club shares the same curators and merchandise team that pick the best wines for Lot18's customers. Their curator assigns each selected wine to the right wine profile, so that only customers with the right profile will receive the wine. This is essentially a double-curated club—first by professionals, and then by YOUR TASTE PREFERENCES. Seems reasonable you'll get what you like. Stay tuned for results of our shipments to see if that's true. Personalized wine clubs like Forbes Wine Club by Lot18 are still pretty rare, but where TR really stands out is in the sampler experience. No other wine club offers this sort of try-before-you-buy opportunity. The education style for Forbes Wine Club by Lot18 is different than other wine clubs. At other clubs you get a glossy (or not) printed brochure detailing how the wine was made, a bit about the wine region, the winemaker, and the winery. This is usually accompanied by food-pairing recipes and other trivia. TR takes another approach—they teach you about the characteristics of the wine as you experience it to help you learn what kinds of wine you like. They do this by providing a detailed tasting note and a graph of the wine's flavor profiles, as well as drinking suggestings and pairings, and the region the wine comes from (See below). If detailed information about the vineyard, the winemaker, or the winery is critical to your wine club experience (mostly wine geeks like this), then this isn't the club for you. For everyone else, this is useful information. Also, the savings of not creating and print tasting notes likely helps TR keep their costs low. Forbes Wine Club by Lot18 has a pretty cool gift version of their club if you want to give someone the experience of wine tasting in their living room. We have not reviewed their gift offer, but you can check it out for yourself. Shipments are $9.95 for the sampler, $87 for the first personalized case, and $169.99+$19.99 for future personalized cases.